Fromage Beaufort is a french cheese produced in the department of Savoie. This region includes the valley of its namesake, Beaufort. This popular cheese must meet stringent standards before it can carry its label. A pale yellow raw milk cheese with a smooth yet firm texture, this cheese is widely recognized throughout France. It is also an important ingredient in fondue savoyarde. 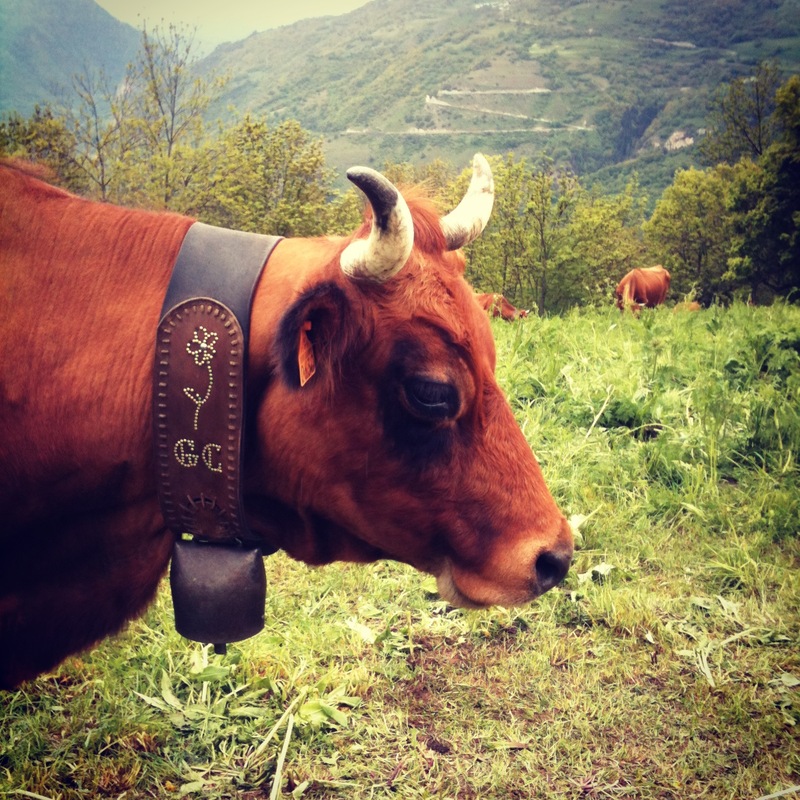 Only the milk of an Abondance or Tarentaise cow can be used in the production of Beaufort, and these cows must graze solely on mountain meadow grass. In winter, hay is harvested from pastures at the base of the mountains. If these standards are not met, the cheese cannot bear the label Beaufort. These special alpine cows are bred not only to be exceptional diary producers but for their ability to thrive in harsh alpine conditions and trek across steep hillsides. Cows (vaches) are rotated regularly into different pastures, and each cow will normally have her own embroidered bell. The “happy cows” of California have nothing on these girls. 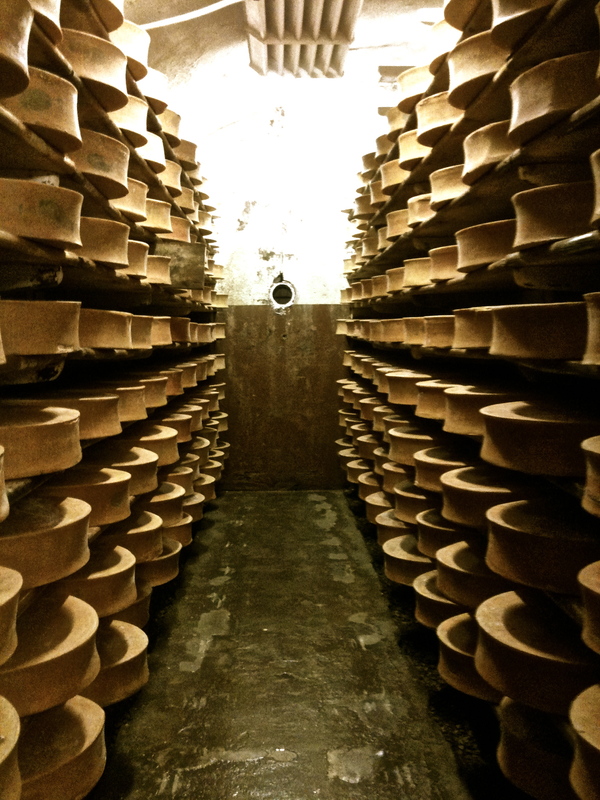 The milk to cheese process begins in large copper vats where timing, temperature, and stirring is essential in creating a quality wheel. Curds are trapped in cheese cloth and pressed in wooden rings. After the wheel is salted in brine, it is put in a cheese cellar to be turned and salted daily until it reaches maturity. It takes, at minimum, 5 months to properly ripen a wheel of Beaufort cheese. There is a distinct difference in taste between summer (été) Beaufort and winter (hiver) Beaufort. Summer Beaufort has a smoother creamier taste. It is also more expensive and preferable for casual eating. Winter Beaufort is used more often in fondues and gratins. Beaufort that has been traditionally handmade high in the Alpes (d’alpage) will carry the highest price tag. You get what you pay for, the difference in taste between factory and traditionally made Beaufort can be recognized even by a novice cheese tester. To view a photo essay on the creation of traditional alpine Beaufort, click here.